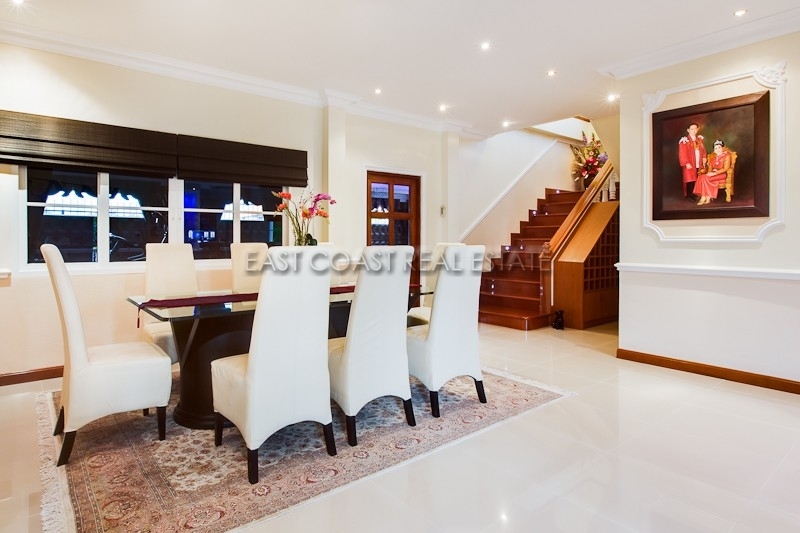 A truly magnificent property built and designed from start to finish by the English owner, with no expense spared to make this a real luxurious 2 storey house. From the second you enter the remote electric gates, you get a feel for how this property has been designed in every detail. 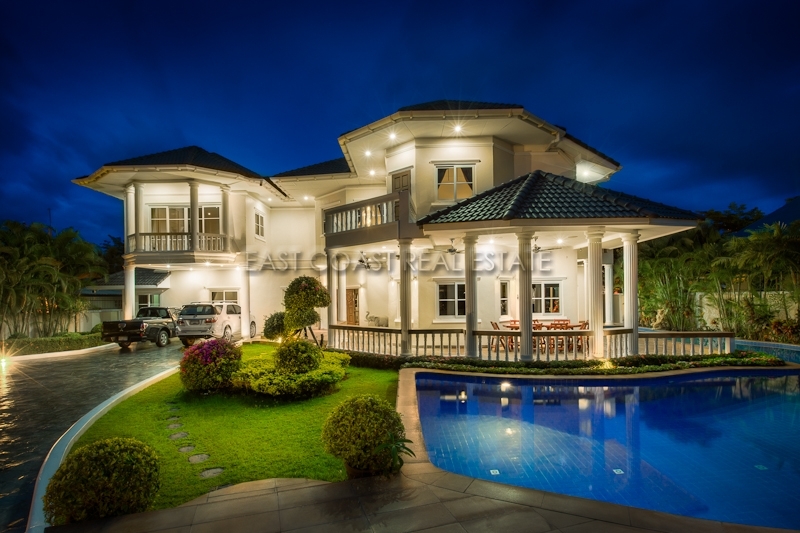 The wide tiled driveway meanders through the lush tropical landscaping. There are various varieties of trees, bushes, and flowers to give beautiful colour to your first impressions. Once at the house it becomes apartment to the size of the property. 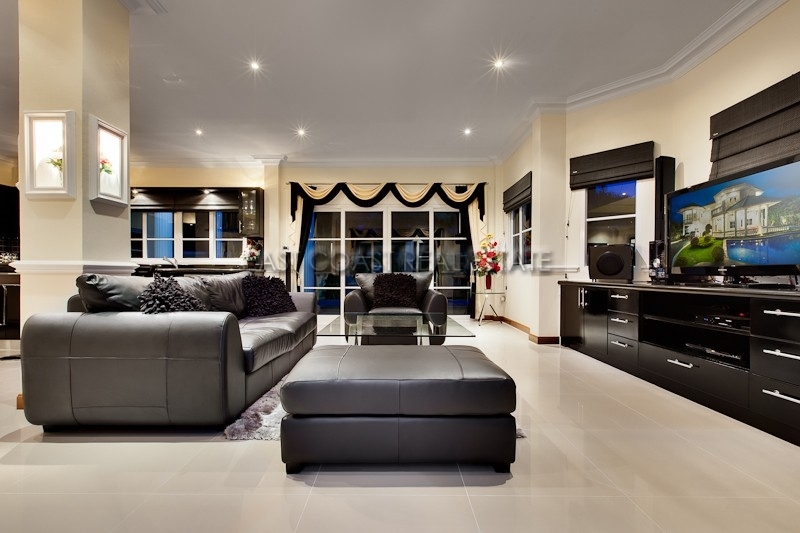 Around the perimeter of the home is a large wrap around veranda wide enough to entertain. 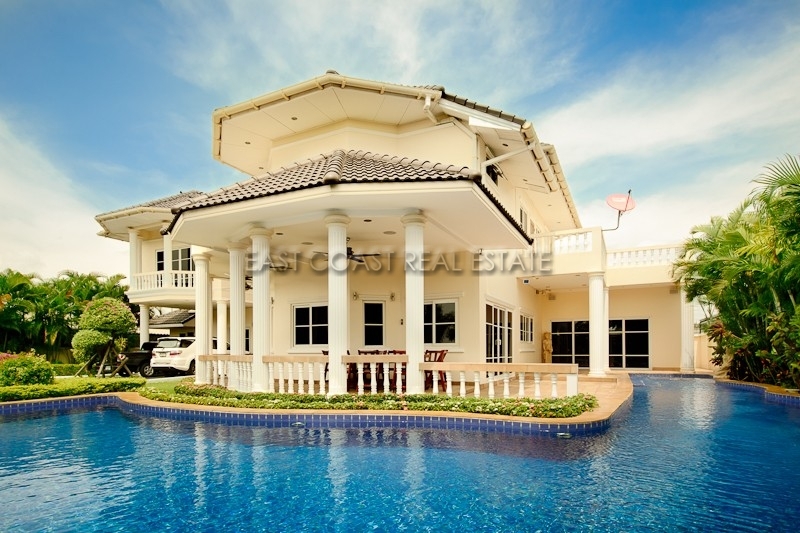 The private swimming pool also wraps around 2 sides of the house. Outside as well as inside there is a central home entertainment speaker system so regardless of where you are you can enjoy your music, or favorite satellite TV station. 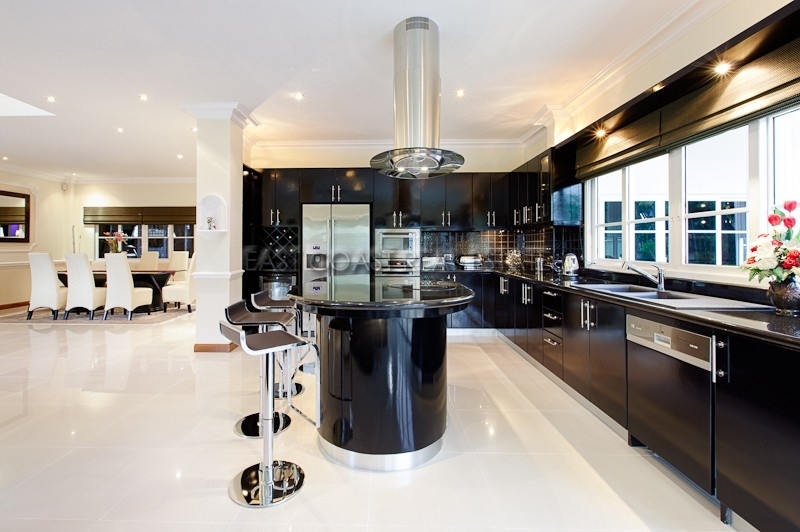 Once inside you are welcomed by a large open plan living/diner. You get a great feeling of space and light through the tinted UPVC windows. 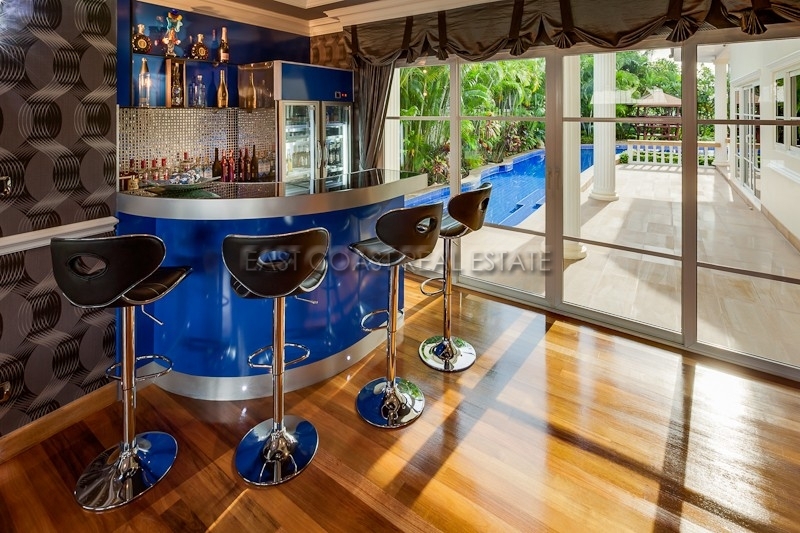 The living room also includes a top of the range European kitchen, with built in appliances, dish washer “two” ovens, wine cooler, and wine rack. This is all made more workable with the central island and ceramic hobs. 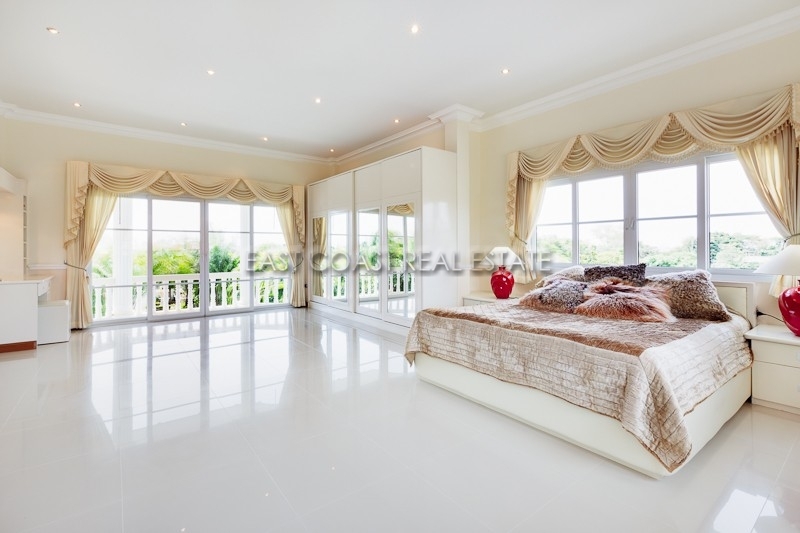 This property is sold to include all the furniture in the home. 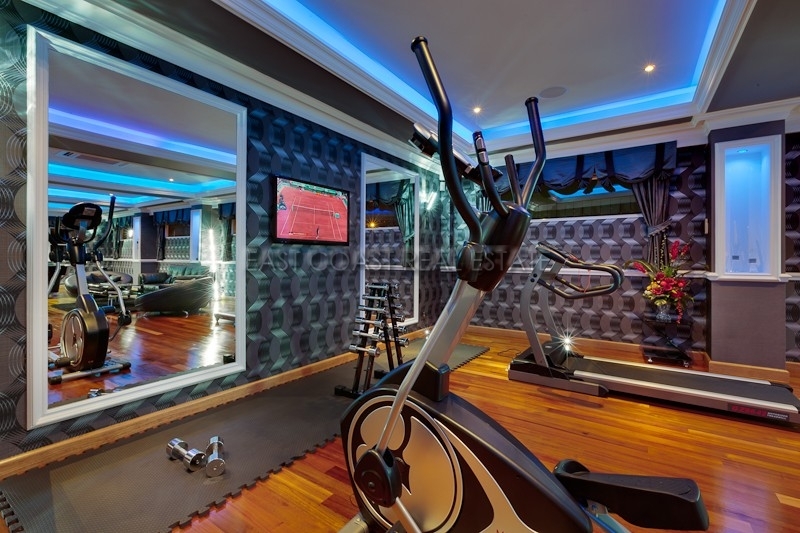 Expensive leather couches, flat screen 3D tv’s throughout the house, beds, and built in wardrobes, gymnasium equipment, Brunswick international pool table and even a bar. 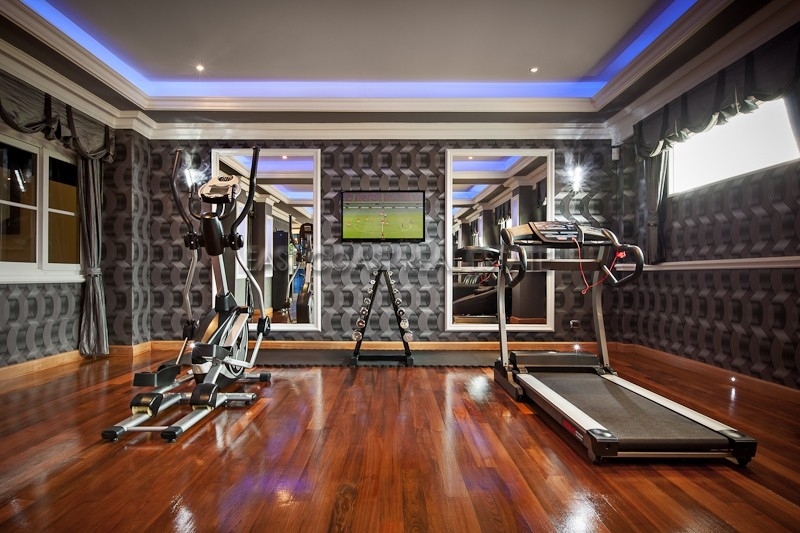 The gym, and bar are positioned at the rear of the house, and designed to be a games room, or sports lounge. Again luxury black leather sofas, remote control multi colour mood lighting, spot lights built into the skirting, and a small fully equipped bar. The upper floor contains all the sleeping rooms. 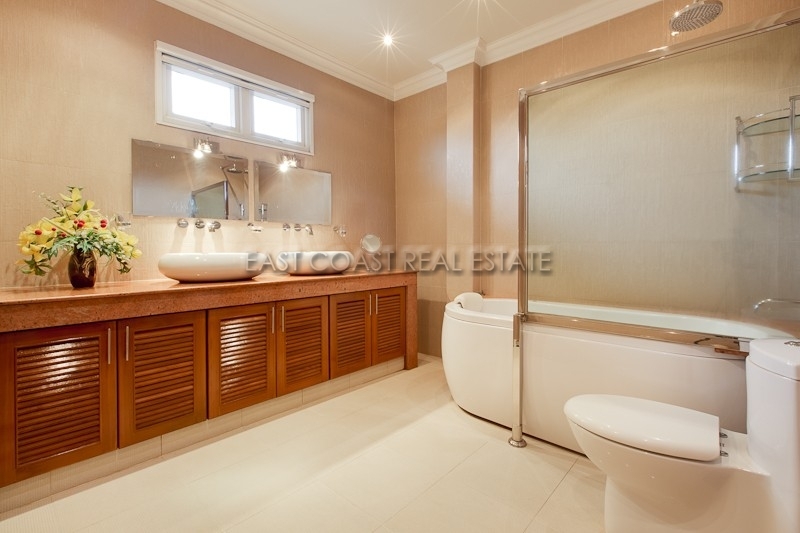 2 generous guest bedrooms, plus an oversized master bedroom with en-suite bathroom. 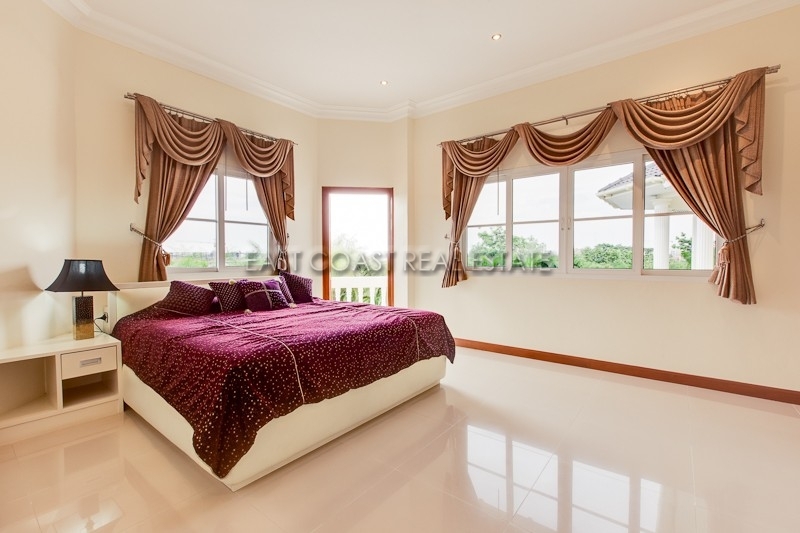 All these rooms have their own private balconies from which you can see the skyline of Pattaya city. 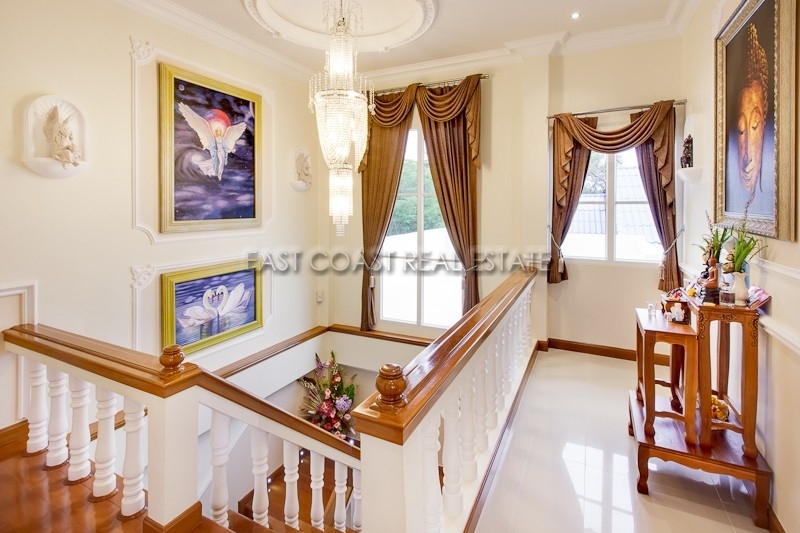 Located just 400 metres across the Pattaya railway line, East Jomtien.